The changing face of payments over the last number of years has seen a significant shift towards automated payments and online banking; what was once the choice of tech-savvy start-ups is now commonplace, with many businesses now expecting to do most of their day-to-day banking online. We are committed to providing you with quick, efficient and cost-effective ways of banking with us, designed to help your business thrive and grow with improved cash-flow and greater security. 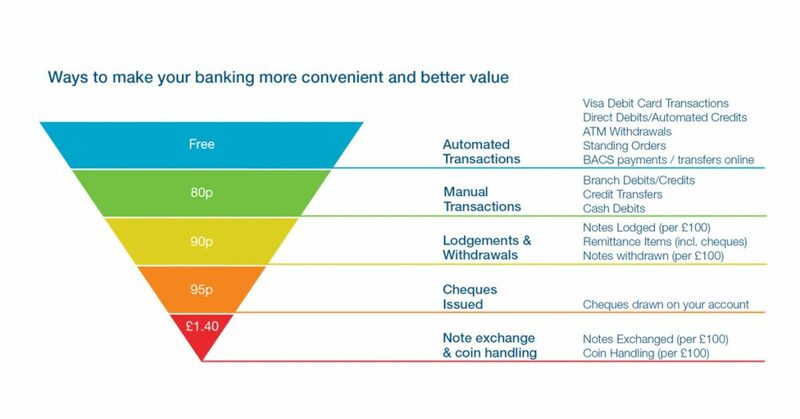 The pricing structure for business customers, aims to support you in reducing cheque and cash usage, enabling you to save time and money by banking via our automated and online channels, available 24/7. Get instant access to your account, reduce your transaction fees, save time and benefit from extended payments cut-off times. To find out more, speak to your business adviser /relationship manager. Accepting debit or credit card payments with BOI UK Payment Acceptance makes it easier and faster for customers to pay you. It saves you time and money too with clear and transparent pricing. We can help in getting you set up quickly to take payments this way – whether you’re a sole trader, small to medium enterprise or operating `on the go’. To find out more, please visit www.boipa.co.uk or speak to your branch or account manager. Use a debit2 or credit card3 to make payments in person, over the phone or online. Card payments enable you to have better control of your spend and save on the costs of cash and cheque payments. Speak to your branch or account manager for more information on the Bank of Ireland Visa Business Debit Card or Business Commercial Credit Card. Cheques are a slow and expensive way to pay for goods or services. You can save time and money by setting up a direct debit, standing order or transferring money online for free. 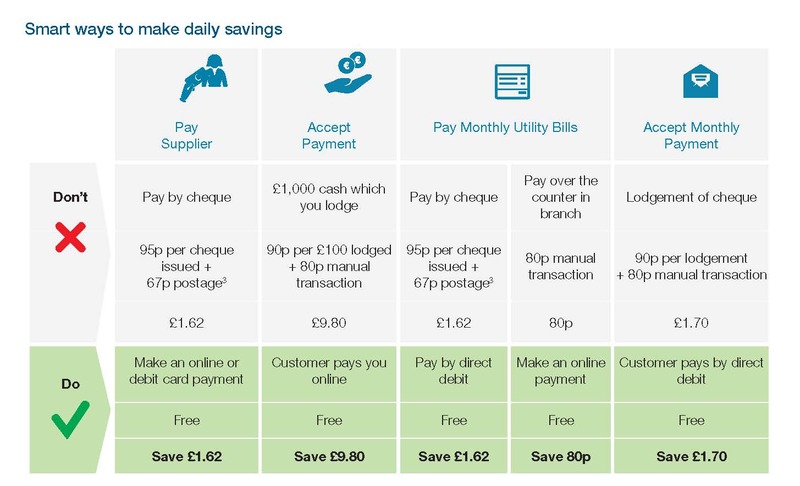 The more you use online payment options, debit card and contactless payments, the more you’ll cut your costs. 3 The Commercial Card is solely for Business Transactions. Lending criteria, terms and conditions apply. 3 Cost based on UK 1st Class post as at March 2018.